Every day, an average of 22 lives are lost to a silent war: veteran suicide. It’s a war that’s largely unknown, and largely unseen. It’s a war fought in isolation, within the minds of those who struggle every day to overcome their pasts and find their purpose in life. If something doesn’t change, an estimated 8,030 lives could be lost this year to veteran suicide. 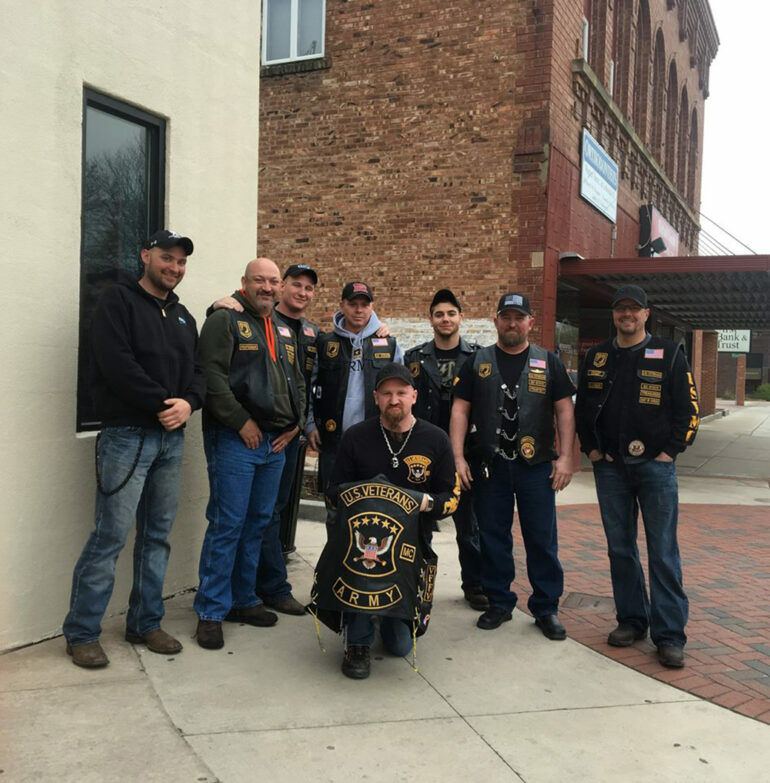 The USD Student Veteran Resource Center (SVRC) and the U.S. Veterans Motorcycle Club (USVMC) came together to take a stand against veteran suicide by hosting a screening of “Project 22” at the Twin Coyote Theater in Vermillion on April 18. The film follows two combat Veterans, Daniel Egbert and Matt King, who set out on a 6,500 mile motorcycle journey to meet with researchers, healthcare providers and other veterans. After having their own struggles with suicide, they wanted to raise awareness about the issue and let others know they’re not alone. The movie, made in 2014, showed that suicide deaths had outnumbered combat deaths for four years in a row. The movie also stated that one in six Iraq and Afghanistan Veterans suffered from PTSD. The movie emphasized that this is an issue that can affect any veteran, anywhere, and in many different ways. There was also a focus on isolation, as King and Egbert kept encountering it among veterans, many of which said they felt isolated or felt as though no one understood them, resulting in a lack of interpersonal connections. The mission of “Project 22” was to bring this issue to the forefront of people’s minds and to highlight the benefit once veterans started interacting with people that understood them, according to event organizers. Organizations like the SVRC and the USVMC strive to form those bonds by giving veterans a place to connect and a common purpose. Both organizations are involved in fundraising and raising awareness to support veterans throughout the year. The proceeds from this screening of “Project 22” went to the Berakhah house, a homeless shelter for Veterans in Sioux Falls. Michelle Pliska, the SVRC coordinator, stressed the importance of reaching out, helping out and raising awareness. Pliska said she was the one who made the final push to get the movie. Both groups had been trying to screen it since last fall after it was shown in Sioux Falls by another veteran motorcycle group, the Leathernecks. Steve Nunez, an Iowa National Guard combat veteran and senior at USD, was also part of the efforts to bring “Project 22” to Vermillion. He had heard of the SVRC, but it wasn’t until he saw the group tabling in the Muenster University Center that he decided to learn more about it. Krisztian Fasi, a Navy non-combat veteran and member of the SVRC, said he felt the documentary had one major takeaway. Pliska said there are about 500 USD students that are veterans or in the National Guard or Reserves. That number increases significantly when taking dependents, children or spouses, into account. The SVRC is available to all of these students, and provides tutoring, reintegration services, peer mentoring, free printing, free counseling services and more. They have regular meetings every Thursday at 5 p.m., but have also have held art therapy sessions, hosted guest speakers, visited the Berakhah house and held yoga sessions, among other things. Pliska said these events show how the SVRC strives not only to unite veterans, but also to bring understanding to the public. Though the film had a strong theme of veterans helping veterans, there were also many civilians who were fighting to make a difference. In a war that is silently consuming so many lives, every voice matters, she said.